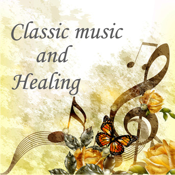 Application, "the classical music of healing" are the application that can feel. the scenery of the beautiful four seasons in Japan and a healing effect of the classical music. The recorded music records Mozart, Vivaldi, the music of the Albinoni. The music of Mozart in particular is effective in healing it.. Please apply this application in your life..